Elegance Wedding Cars St Helens have now been providing Wedding Cars in St Helens, Haydock, Prescot and Knowsley for over 17 years, we understand your special day deserves a very special car and we have a wonderful choice to make your day that extra special. With over 17 years experience, we can help to guide you through all aspects of booking your Wedding Cars from the type of Wedding Car to suit your needs to timings and pick up times and how many Wedding cars you actually need. Choose from our selection of Rolls-Royce, 1930s Dureau Convertible, Classic Daimler DS420 Wedding Cars. Elegance Wedding Cars St Helens cover all area’s of St. Helens, Haydock, Knowsley, Prescot, Liverpool, Merseyside and the North West. Our prices are based on your requirements. Please contact us for the best prices and availability. You are more than welcome to come and view our selection of Wedding Cars, we can normally fit into your plans, be it daytime, evening or weekend, If we are in your area for a Wedding you are welcome to come along and take a look at the Wedding car hire service we offer. All the vehicles you see on this site belong to us, we do not sub contract with any other company. The cars you see are the cars you get. Looking for wedding cars St Helens, Prescot or Knowlsley? St Helens, Knowsley, Prescot or Haydock. We have a superb collection of Vehicles including a 1956 Rolls Royce Silver Cloud and a Daimler DS420 Limousine that seats up to 7 passengers. Our Wedding Car Hire service is conveniently located in Wigan. Elegance Wedding Cars St. Helens cover all of the North West, including St Helens, Knowsley, Prescot, Haydock, Warrington, Manchester, Cheshire, Liverpool and Merseyside. Winter and Mid-week bookings will receive a £100 discount. Wedding Cars St Helens, Haydock, Prescot and Knowsley ! 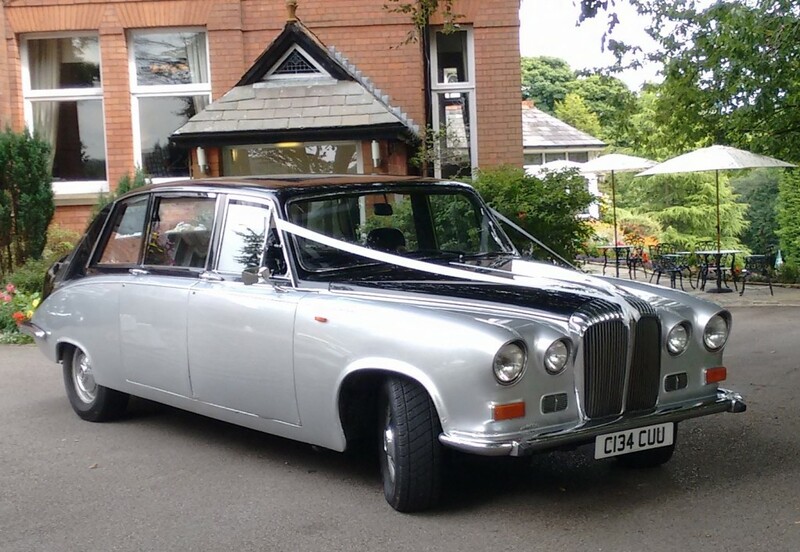 Look no further, our classic wedding car hire service, takes the worry out of this most important part of your Special day. Providing a service of promptness, courtesy, distinction with attention to detail. Our uniformed, professional and helpful chauffeurs will go that extra mile to make your Wedding day perfect. Each of our Wedding Cars will only be allocated one Wedding per day. Giving you a dedicated and personal service at all times. This allows your photographer to capture every magical moment without being rushed. 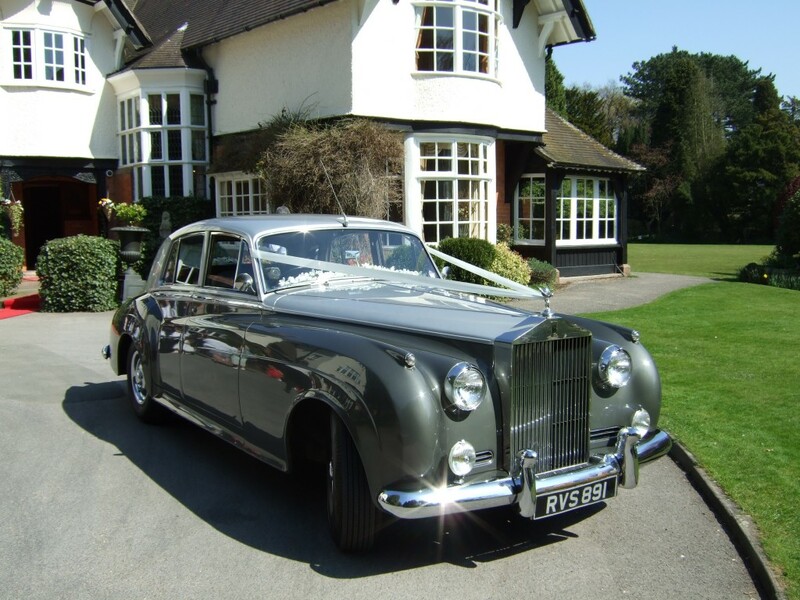 The Wedding cars will of course be made available for Photographs at you Reception Venue. Established back in 2004 we have accumulated a wealth of experience and professionalism and with thousands of weddings successfully completed we are now recommended by wedding venues across the North West, as well as photographers and wedding planners alike. SO your Big day has finally arrived. All that preparation is about to pay off, you leave home; you want to make your big arrival. The car has to look just right. Ribbons and flowers are in your favourite colour and everything is just right. You can now relax. Elegance Wedding Cars St. Helens look forward to meeting you.